Blue Ridge Women in Agriculture is excited to present the 12th Annual High Country Farm Tour with some NEW & EXCITING TWISTS! 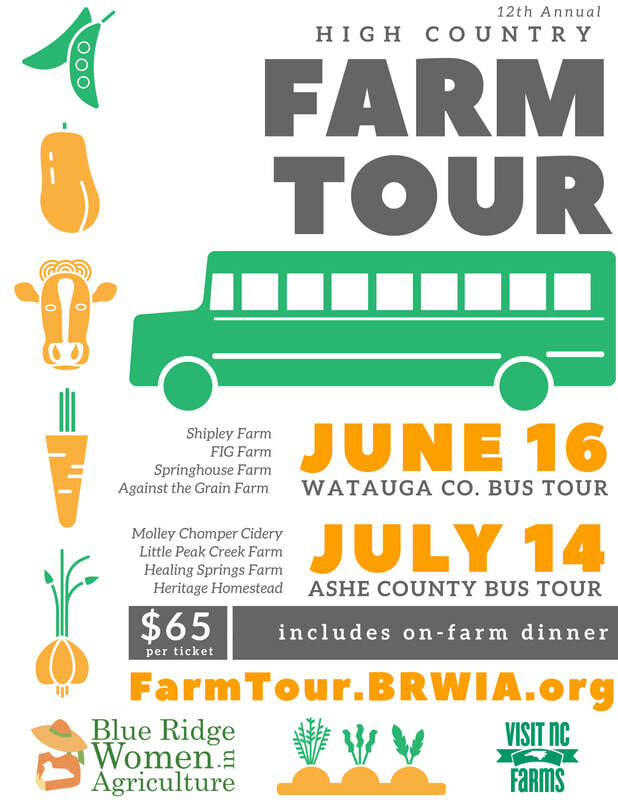 Let us take you on a GUIDED AFTERNOON BUS TOUR that will allow an engaging story to unfold about our High Country local food system and the passion and diligence that drives our local farm families. More intimate experience with each farm and farm family. Reduced likelihood (now zero chance) of getting lost due to GPS confusion in rural Appalachia. Less time burden on each farm-family after a busy week of harvesting, prepping, and selling at market. Delicious farm-fresh food prepared on-site by local growers and chefs. Opportunity to connect with other folks who are passionate about supporting local farm families. We understand this new model has its limitations and we are looking forward to learning from this experience to continue to bring meaningful opportunities that connect producers and consumers.